Asics has a global reputation of being one of the leading suppliers of sporting goods, including cricket shoes. Whether you are an ambitious player or a seasoned cricketer, regardless if you are just starting to learn the fundamentals of the game or if you have already mastered the techniques, Asics cricket footwear can prove to be promising in more ways than one. From their many products, one that should be included in your list of choices is Asics Gel Advance 6 Cricket Shoes. As a bowler heading back to your mark, this is a pair that will help you to go there without any difficulty. Amongst its features, one that has impressed even discerning players is the Trusstic System, which is highly effective in the reduction of the shoe’s weight. The latter also makes sure that the rigid structure of the shoe will be retained, regardless of the physical demands. It also comes with Solyte 55 Lasting, which is the company’s lightest midsole. You will also enjoy the best cushioning for optimal comfort. Asics Gel Speed Menace Cricket Shoes will also be an excellent pick. This is a performance-driven footwear that is designed specifically for the need of hardworking bowlers. 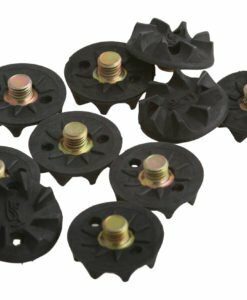 It is designed with an Anti-gravel tongue, which will provide powerful enclosure, and hence making sure that no debris will get inside. For customization, it comes with removable spikes. You can alter the configuration of the sole depending on the playing surface and based on what you believe can unleash the best in you. Meanwhile, Asics Gel Gully 5 also has a lot of promise. It comes with a PGuard Protector, which will offer the protection that is needed by the forefoot, and hence, lessening the possibility of suffering from an injury. 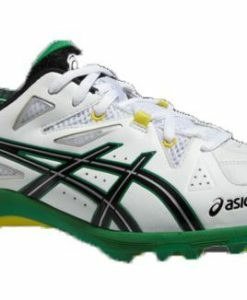 This Asics cricket footwear for fielding and batting also comes with SPEVA midsole. The primary benefit that is offered by the latter is the reduction of bounce back. It also makes the shoe less prone to wear and tear. It also has dual-density midsole system, for better stability and support, which are two things that are critical for any cricketer. With Asics cricket footwear, it will be easier to find a pair that will work best for the demands of your specific playing position. 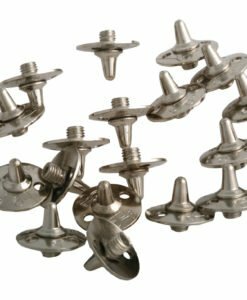 The company is known for using high-quality materials while their products are sold at a price that won’t be too much for the pocket.